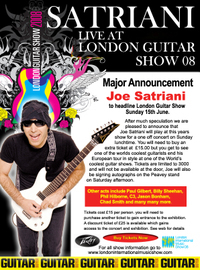 Joe Satriani will be headlining the London Guitar Show main stage (part of the London International Music Show) on Sunday June 15th. This is confirmed, and is already posted on the shows website. Also, Paul Gilbert will be playing the main stage on Saturday June 14th. Kudos to Mark McGuigan for spotting this news. Over the course of his illustrious career, JOE SATRIANI has achieved legendary success with his 12 solo albums and 3 platinum DVD’s selling more than 10 million units worldwide. 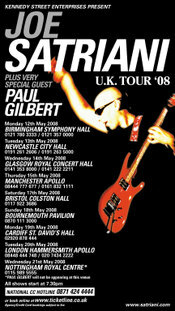 On April 1, 2008, SATRIANI is set to continue his brand of electric education for the masses with the release of his 13th solo album entitled Professor Satchafunkilus and the Musterion of Rock (Sony/BMG). Following the albums release, SATRIANI will embark on a worldwide tour, kicking off April 30th in Lisbon, Portugal before hitting the European market, Australia, South America and finally returning to the U.S. in the fall of ‘08. Professor Satchafunkilus was produced through the creative envisioning of SATRIANI and John Cuniberti; guiding the musical talents of longtime drummer/percussionist Jeff Campitelli and reknowned bassist Matt Bissonette. 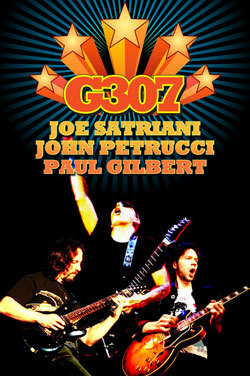 A special addition to the album’s artist list is Joe’s own son, ZZ Satriani, playing the tenor sax. Over the last two decades, SATRIANI has traveled the world, playing to sold-out crowds as both a headliner and as founder of the all-star “G3” guitar extravaganza. Of his 12 solo albums 2 went platinum and 4 gold with 15 Grammy nominations between them. This year Joe is nominated for Best Rock Instrumental Performance for the song "Always With Me, Always With You" from his album, Satriani LIVE! 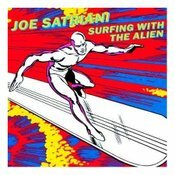 Last year marked the 20th Anniversary of his groundbreaking album, Surfing with the Alien and was commemorated with new expanded edition in a meticulously restored two-disc set including the newly re-mastered album and a previously never-before-seen live show filmed at the Montreux Jazz Festival in 1988. FYI - The August issue of Guitar Player magazine is chock-full of great stuff; one of the best issues I've seen in a while. 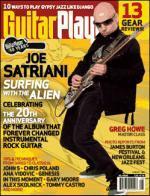 There's a big feature on Joe Satriani regarding the upcoming 20th anniversary re-release of Surfing With The Alien (look for my review soon), a Greg Howe masterclass article, a Chris Poland interview, a review of the Bruford Rock Goes To College CD (featuring Allan Holdsworth of course), cool articles on Gary Moore and Django Reinhardt, and other great stuff. It's on news stands now. If you like this site, you'll want to pick up this issue. All Out Guitar has a new interview up with Joe Satriani. It's a good read that covers his early musical development, G3, and much more. 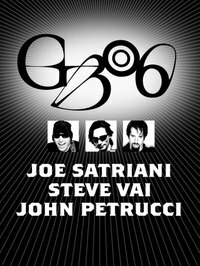 Ultimate-Guitar.com has a new interview up with Joe Satriani. He talks about the success and future of G3, and his upcoming projects.